your overall dental health. We have listed some other important benefits of straight teeth…. are not cleaned properly they immediately become more vulnerable to other dental issues such as tooth decay. Chewing is the first part of the digestion process. As we chew our food our saliva breaks down the food particles on a chemical level while our teeth physically grind and break the food apart into smaller pieces. to continue to break the food particles down. The extra work on the rest of the digestive system can lead to a number of unpleasant GI consequences and has even been shown to make it harder to lose weight! when resting. This leads to mouth breathing. Mouth breathing is directly related to two oral health concerns such as chronic bad breath and dry mouth. chewing or a sudden uncomfortable bite. 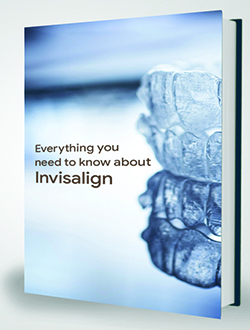 Nearly 75 percent of American adults are affected by some form of crooked or misaligned teeth. These are common dental issues, but like many other dental issues can cause serious problems if left untreated. We would love to assist you if you think you could benefit from treatment. In the meantime, keep brushing, flossing, and scheduling your regular dental appointments! You deserve the best smile!